Amazon plans £5 per month music streaming service for its Echo speaker | What Hi-Fi? 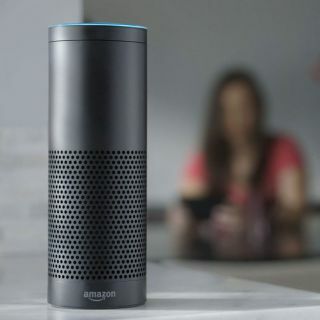 Amazon’s planned music service will only be accessible through the company’s Echo voice-controlled wireless speaker and not via more conventional ways, such as your smartphone. It will be distinct from Amazon's Prime Music service, as that has a limited catalogue of music and is only available to Prime subscribers. Industry analysts predict Amazon will launch the new service, alongside a regular $10/month unlimited, ad-free service which will be available on smartphones, in September this year. The same sources also claim that Amazon has yet to finalise deals with major music labels and publishers. While a $5/month (likely £5/month in the UK) music service may sound appealing, Amazon has only sold one million Echo speakers since it launched in 2015. Amazon does however hope to sell three million Echo speakers this year and a further 10 million in 2017. Cheap access to streaming music might help. Neither Spotify nor Apple Music has an equivalent to the Echo (yet), so Amazon’s move could tempt consumers with a lower cost per month for unlimited music.